The selection of the computer case automatically puts restrictions on the motherboard (mobo) ... namely, its size. The mobo can be either a Mini-DTX or a Mini-ITX. Given that mini-DTX mobos aren't very common ... mini-itx it is. I also reviewed the possible chip-sets (thanks to Tom's hardware) and ruled out Z87 and Z97. These chip-sets provide options that I just didn't need in my HTPC ... I'm not using a single GPU, let alone multiple versions. That also saved me a few dollars. 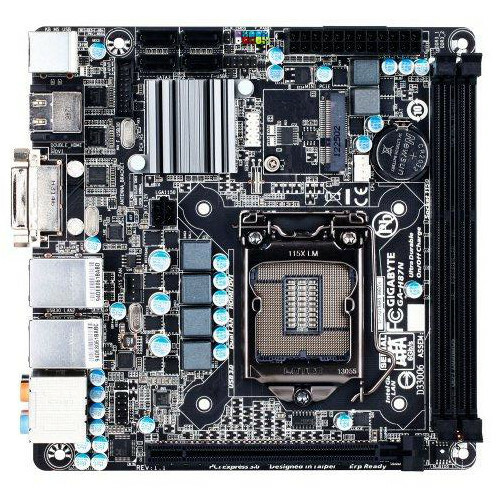 I also read a web site that talked about the mobo layout. He did mention that it isn't a big deal ... but it is something to consider (more on this later). At the end, I selected a Asus H97I-Plus. I even downloaded the manual. 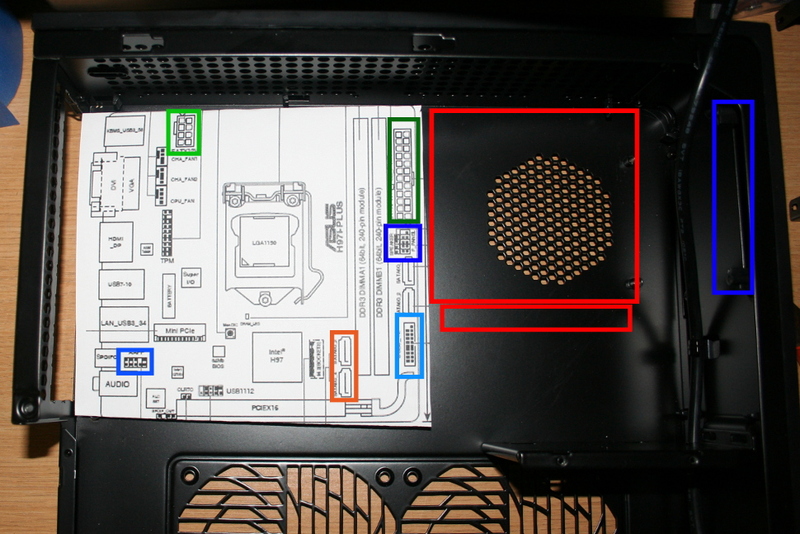 I particularly like this layout as the HDD will be about 6 inches away from the SATA port. I can use a stupidly short SATA cable. Lack of cable clutter should is an aim of this build. The 24-pin power cord doesn't have far to go ... and the front cables (except for the audio) should wrap behind the PSU nicely. ... but it's layout ruled it out of the running very early. Look how far those SATA cables would have to go! The final clincher for the Asus H97I-Plus was the M.2-2280 SSD support ... put the O/S on this, get better speed and one less cable.